This is a condition in which the calcium level in the blood is above normal. Calcium performs important functions such as helping to keep your bones healthy. It also plays an important role in contracting muscles, releasing hormones and ensuring that your nerves and brain function properly. However, too much of it can be problematic. The main cause of this condition is over activity in one or more of one's parathyroid glands which regulate the blood calcium levels. Other causes include cancer, certain medical disorders and medications as well as excessive use of calcium and vitamin D supplements. One may experience few or no signs of Hypercalcemia especially if it is mild. You can protect your bones and kidneys from damage due to Hypercalcemia by adopting a healthier lifestyle. 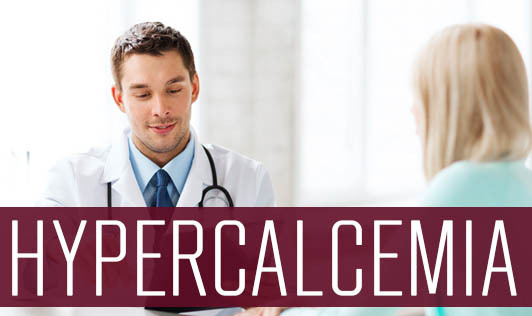 If you develop any signs or symptoms of Hypercalcemia, contact your doctor immediately!